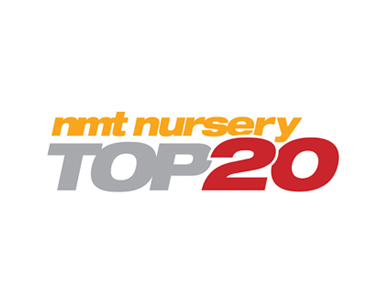 Catherine has recently been nominated for the NMT 2016 Top 20, this time for the ‘Top 10 Most Influential’. It is always great to be put forward for an award, and this year it is exciting to be part of the new format, with different categories. It is flattering to be nominated, and to receive such positive endorsements from our clients makes all the hard work that goes into juggling multiple businesses worthwhile. Here’s what some of our clients are saying about Catherine and the spark software in support of her nomination. Kimberly, Buttercup Corner – I met Catherine whilst looking for an EYFS software package and was sold within the first few minutes. Her passion for the Early Years sector is enviable and this can be seen through the juggle of her own nurseries, promoting her nursery software ‘spark’ and her work in China! My conversations with Catherine always leave me feeling focused and raring to take on the next challenge. Deborah, Serpentine – I am very happy to endorse Catherine; she is pro-active in managing her workload and always has time to sort out queries. The ‘training’ videos that she sends are most helpful as is the fact that we can get a same day answer. She visited us just after we started using spark, which was very helpful to have the face behind the name. We are just delighted that we found such a good system. Julie, Best Friends Day Nursery – We have been using the spark software for just over a year. Catherine herself has been instrumental in the changeover to the spark software. She broke down the process into small steps, provided us with helpful tutorials, advice and responded quickly to the many emails we sent her. Her passion for delivering a friendly and robust system is why we chose her and so far we have been very pleased. Saj, Daisy Chains Nursery – Catherine’s passion to improve Early Years shines through in her software and dedication to her clients. She has bridged a gap in the industry, where practitioners, practice, child development and parents can share information about a child’s learning. She has achieved this from a nursery development view, and by enabling the setting to track their progress, the child’s learning is supported. Thank you to all of our customers that have spared the time to give us feedback and to support Catherine in this award process. Unfortunately on this occasion Catherine has not been short listed for the final, however we wish all of the other candidates the best of luck for the final listings. We look forward to hearing the outcomes for each of the categories.